4K, or UltraHD (UHD) as it is also known, refers to a class of super high definition displays and video. The "4K" is a reference to the horizontal resolution of the image of the picture, typically of either 3840x2160 or 4096x2160 resolutions. This is roughly four times the resolution of the current HD standards that top out at 1920x1080. The availability of 4K UHD computer monitors has lagged behind the television market a bit, but for several good reasons. 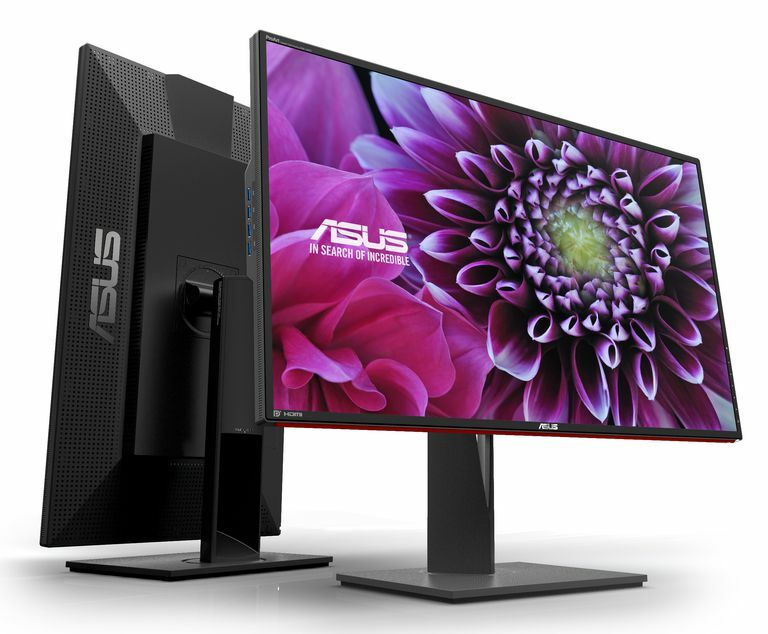 Computers face a problem with 4K or UHD content and displaying it on monitors—beyond the availability of 4K monitors. The very high resolutions require a large amount of bandwidth in order to transmit the increased size of the video data. Past computer video technologies such as VGA and DVI lack the bandwidth and can't deliver those resolutions reliably. This leaves the two most recent video connectors HDMI, DisplayPort, and Thunderbolt 2 and Thunderbolt 3, but these have been found mostly in higher-end computers. HDMI is the more common of these 4K capable connections. HDMI is used by all consumer electronics and this gives it an advantage when it comes to adoption by the computer display market. A video card with an HDMI port is required, as well as HDMI high speed rated cables. Failure to have the right cables can result in lower resolution images. DisplayPort is used by many computer displays and video cards, though it is less familiar to the average user when compared to HDMI connections. The DisplayPort v1.2 specification can run the full 4K UHD video signal up to 4096x2160 with the deep color and 60Hz or frames per seconds. There is another aspect of HDMI and 4K video that presents an issue for computer displays. HDMI signals commonly transmitted with a 30Hz refresh rate, or 30 frames per second (fps). This may be acceptable for watching movies on a television, but for computer users, especially gamers, this is taxing to view and causes eye strain. Gamers prefer 60fps refresh rates or higher for this reason, and for the more fluid movement of action on the screen. The HDMI 2.0 specification corrects this and has become the standard in many PC display cards. DisplayPort connections are able to deliver 4K UHD video at the 60Hz, 60fps, refresh rates. Every graphics processor, whether it is integrated into the motherboard or is an installed video card, can handle basic video work at the 4K UHD resolutions. Problems arise with the acceleration of video for 3D users. At four times the resolution of standard high definition, four times the amount of data needs to be processed by the graphics card. Fast action 3D video games presented in 4K require significant graphics processing power. The processing load these cards handle produces significant heat inside a system, which requires greater cooling capabilities on the card itself and within the system itself. This all comes with a higher price tag. Where high-end graphics cards could top $500 in the past, high-end cards that handle 4K easily surpass the $1,000 mark. Running multiple monitors is a more common setup, particularly among gamers as well as professions. Consequently, when it comes to 4K resolutions pushed out to multiple displays vastly increases the demands on bandwidth and processing power. A greater percentage of the video that we consume is coming from sources over the internet rather than traditional broadcast means. With the increase in the data stream size of four times from the adoption of Ultra HD video, a huge burden will be put upon internet traffic not to mention the file sizes for those that purchase and download digital video files. Suddenly your 64GB tablet can only hold one quarter as many movies as it once did. Because of this, there is a need for more compact video files that can be transmitted more efficiently over the networks and keep file sizes down. Most high definition video uses the H.264 video CODEC (short for compressor-decompressor) from the Moving Picture Experts Group or MPEG. These files are referred to as MPEG4 video files. This has been an efficient means of encoding data, but with 4K UHD video, a Blu-ray disc could only have one-quarter of the video length on it and streaming video takes up four times the bandwidth which saturates network links especially at the user end very quickly. To solve this issue the H.265, or High-Efficiency Video CODEC (HEVC), a standard was developed as a means to reduce the data sizes. Older video hardware has been hardcoded to use the H.264 video in order to be as efficient as possible. The same is true for many graphics solutions found in mobile products. Some of the adaptation necessary can be handled through software, but it means that many older mobile products like smartphones and tablets may not be able to playback the new video format. Eventually, this will be solved with new hardware and software.